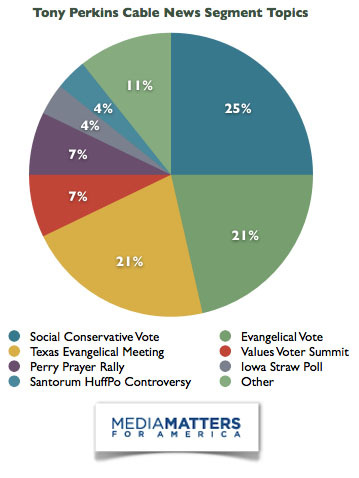 During their coverage of the 2012 GOP primary, cable news networks regularly called upon Tony Perkins, president of the Family Research Council (FRC), to provide commentary on behalf of social conservatives. 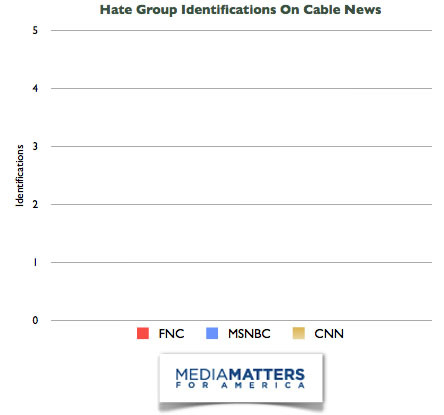 Perkins made 56 appearances on CNN, Fox News, and MSNBC over the course of the primary, but never once was identified as the leader of an anti-gay hate group. 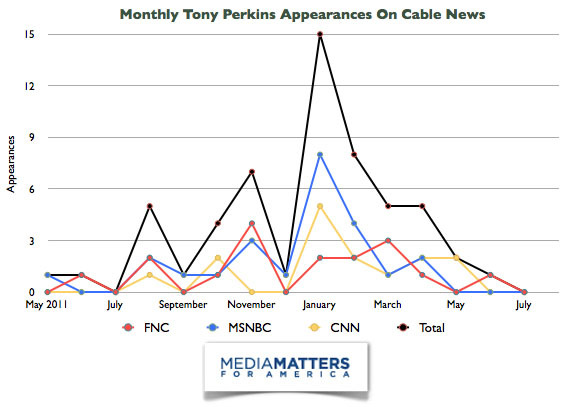 Equality Matters searched news transcripts provided by Nexis, TV Eyes, and SnapStream for the name "Tony Perkins" between May 5, 2011 (the first debate of the GOP presidential primary) and August 28, 2012 (Romney's nomination). For programs that were not available in those search databases, we conducted a search through our internal archives. The results do not include segments that were not focused primarily on the Republican primary race.